Samsung has started rolling out the Android 4.2.2 Jelly Bean update with base firmware XXUAMDE on the Exynos 5 octa-core variant of Samsung Galaxy S4 bearing model number GT-I9500. This official firmware is currently available for download through Samsung KIES as well as via Over-The-Air (OTA) update, for the Galaxy S4 users from Southeast Asia countries. Samsung Galaxy S4 I9500 users who have already updated their devices with Android 4.2.2 XXUAMDE Jelly Bean, may root their devices using the tutorial below. 1) Install USB Driver for Samsung Galaxy S4 on the computer. 2) Enable USB Debugging Mode on the phone. 3) Make a backup of all your important data before following the guide. 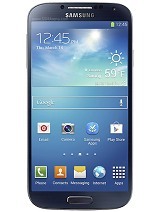 4) The Galaxy S4 I9500 should be factory unlocked and not locked to any particular carrier. 5) Ensure the battery of the phone is charged more than 80 per cent. 6) The stock recovery package works only on Samsung Galaxy S4 I9500 running on Android 4.2.2 XXUAMDE Jelly Bean. Applying these on any incorrect variant will brick the device. Verify the model number of the Galaxy S4 by selecting Settings >> About Phone. Step 1: Download the SamsungI9500_cwm_Recovery_by cofface_0503.zip file for Samsung Galaxy S4 to the computer and extract using winrar/7zip/winzip or any other extracting tool. Step 4: Launch Odin on the computer. Step 5: Connect the Galaxy S4 to the computer using USB cable while it is in the Download Mode. Wait until Odin detects the device. When the device is connected successfully, the ID: COM box will turn yellow with the COM port number. Additionally, the successful connected will be indicated by a message saying Added. If Odin fails to detect the device then re-install USB driver. Step 7: Verify that Auto Reboot and F.Reset Time checkboxes are selected in Odin. DO NOT Tick "Re-partition" options. Step 10: Switch off the Galaxy S4. Then boot the phone into recovery mode by pressing and holding Volume Up, Home and Power buttons together and select ROOT YOUR PHONE. Step 11: Once rooting process is completed, return to main recovery menu and select reboot system now to reboot phone. Samsung Galaxy S4 I9500 running on official Android 4.2.2 XXUAMDE Jelly Bean is now rooted successfully. The cofface_I9500_Recovery_en.zip file only works on old stock! We have replaced it with SamsungI9500_cwm_Recovery_by cofface_0503.zip file. Thanks for the information..